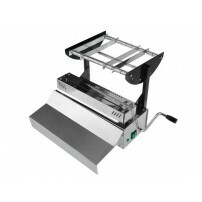 The Hand operated economy Impulse bag sealers are great for quick, easy, nice-looking seals at an economy price. Ideal for start-up or low-production needs. 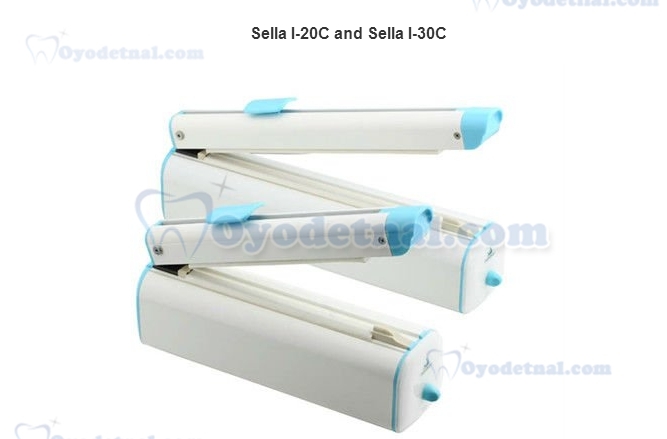 Sealing length: 32 - 33cm. Sealing width: 8mm. 1. Economic, practical, exquisite design, applied to food, medicine, etc. 2. Copper transformer, stable quality, durable. 3. High quality silicone rubber piece, higher heat resistance, longer service life, ensure better effective sealing. 4. Designed to avoid cutting accidents and protect hands. 1. Keep the sealing platform always clean. 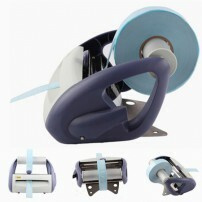 The accumulation of waste on the sealing area will reduce the life cycle of the resistance and the insulating material. For an effective cleaning, wait for the sealing area to cool down and use a cloth slightly moistened with alcohol. 2. If the insulating material lower tape is worn the sealer may go faulty and the resistance may be damaged. 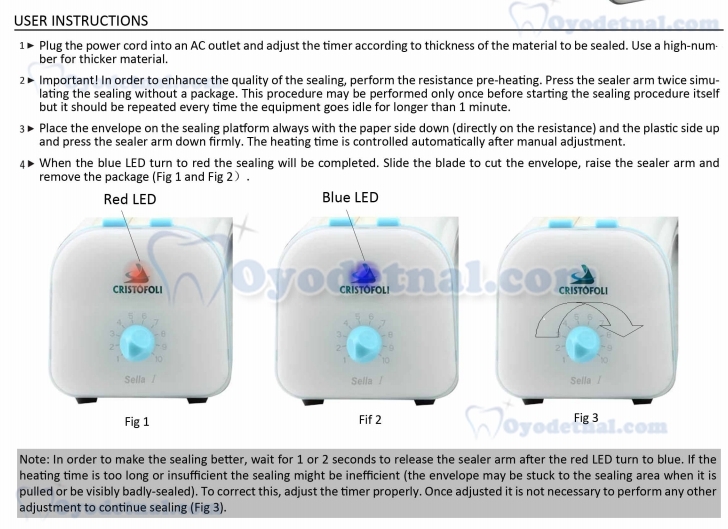 Being so, every time the resistance is replaced, please also check the insulating material tape and replace it if it is worn. 3. If it is necessary to replace the resistance or the fuse, use only those which have the same specifications as the genuine parts’. 4. While packing the instruments protect the ones which have cutting and piercing tips with cotton or gauze to avoid the packages rupture. 5. Place the sealed envelopes with instruments into the autoclave. Check the instructions from the manufacturer of your autoclave regarding the arrangement of the packages and the sterilization cycle. 6. 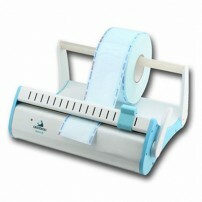 Replace the balde after cutting around 800 times. Use pliers to take out the obtuse one, replace the new blade. 7. 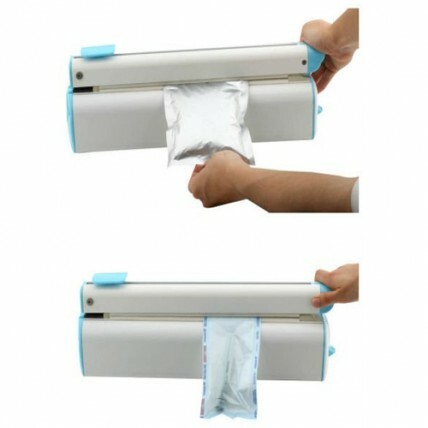 Replace heat-resisting fabric after sealing about 500 times or inefficient seal. 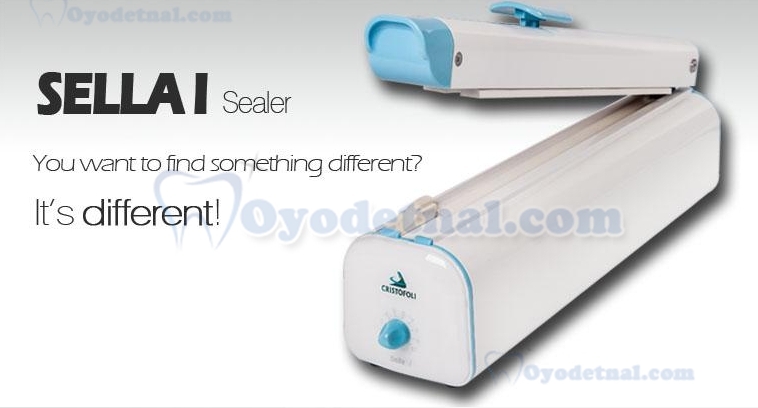 Extract the silicon tube, peel off the heat-resisting fabric, replace the new one, and inset the silicon tube at original position.